There’s much more to sleep than just recovery and this is what the latest discoveries in neuroscience show. For instance, learning new information and storing long-term memories is attributed to sleep which is critically important to the development of brain functions and this is what scientists have long known. A group of scientists at the University of Rochester have discovered in a recent animal study, that the brain cleanses itself during sleep, flushing out its own waste in the process. Similar to a plumbing system, this network of specific channels opens up fully during the state of sleep. The brain may be waiting until bedtime to take out its own trash and the concept behind this is that the cleanup process is energy-expensive. 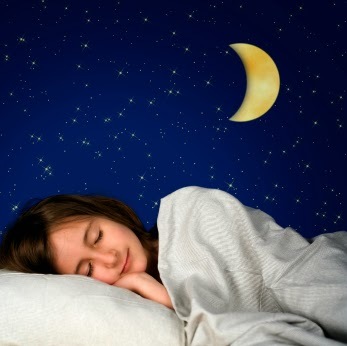 Due to the growth hormone that is required for tissue and muscle development is released primarily during sleep, other recent research reinforces the idea that uninterrupted nighttime rest is particularly vital for kids. Paruthi explained that lack of sleep can also affect the immune system, leaving kids more vulnerable to illness citing recent studies. She said, “When given a vaccine, sleep-deprived people didn’t develop enough of a response to it, compared to people who had enough sleep,” referring to the observed relationship between a suppressed immune system and lack of sleep. All experts are unified that technology must move out of the bedroom, stating that the electronics addiction may be stronger than sugar. Nighttime snack is also another easy lifestyle change that needs to be supervised by parents. A spike in blood sugar followed later by a drop is a result to eating sweets near bedtime which may leave kids awake in the middle of the night leading to a feeling of hunger. Replacing the sugary snack with a high-protein one — say, a spoon of almond butter, adding a cracker or two if desired is what Donielle Wilson a naturopathic doctor who sees many insomnia patients suggests. This information only goes to say that kids and sleep debt should be avoided at all costs.